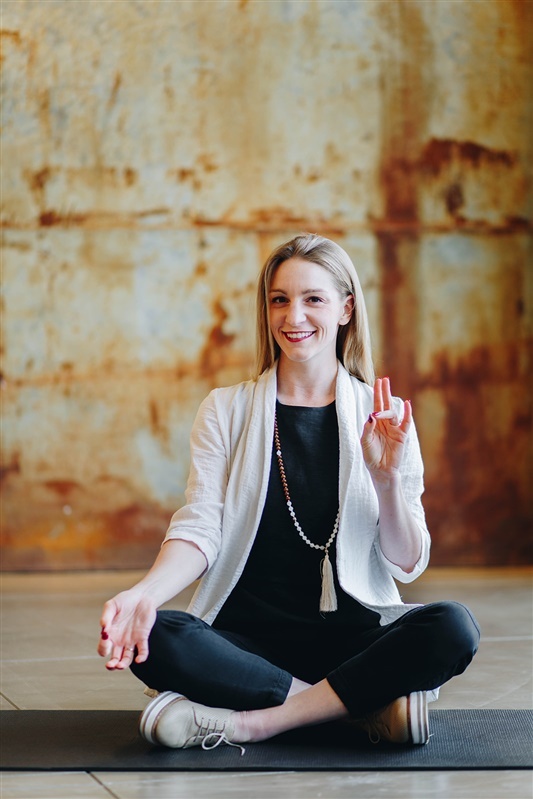 I can help you jumpstart a home yoga practice that will catalyze every aspect of your life: physical, mental, emotional, and spiritual. After practicing and teaching hot power yoga for 10 years, I traveled to India to deepen my understanding of how yoga works. I have a deep toolbox of yoga techniques that fit any age or fitness level. 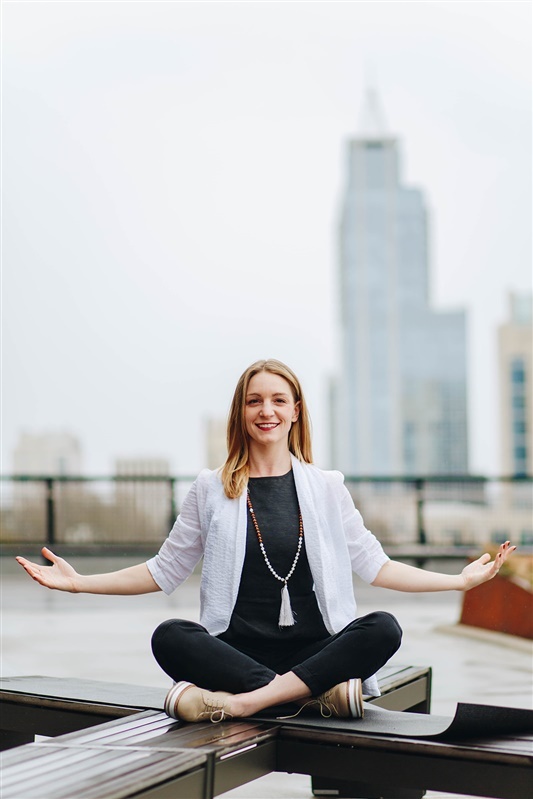 I'm the right fit for you if you are open to the holistic approach to yoga, meaning your daily practice will include meditation and breathwork in addition to yoga asana (physical postures.) I can also offer kriya initiation and mantra for the sincere inquirer. My classes are fun, powerful, and always include a bit of feel-good "flow"! You will get physically strong on your path to getting clear and centered. I am registered with Yoga Alliance as a 500 E-RYT teacher, and certified by the Rishikesh, India-based Sattva Yoga Academy under advanced studies. I'm 28, and live in southeast Raleigh with my fiance and my golden retriever. I started going to yoga in college to stay and shape and help relieve the stress of long hours of study. I remember feeling lighthearted and easy going on days I went to yoga. It was like a coming-home to a younger, more joyful self. In the last ten years I have approached yoga as both a seeker and a scholar. I am interested in the energetics of yoga, and teach in away that awakens not only the physical body but the subtle bodies, known as koshas, as well. My favorite thing about teaching yoga is witnessing the joy that arises naturally from bringing our koshas into balance. The natural effects of this work include physical strength, flexibility, quicker bounce-back from stress, feelings of purpose and connection, and so much more. Over 1,000 hours teaching experience in studios and corporate settings.